Tag Archive | "Dragon Fish"
Bichirs (Polypteridae) are sometimes referred to by tropical fish keeping enthusiasts as the Dragon Bichir, Dragon Fin, Dinosaur Fish, or Dragon Fish. The name has probably derived from their “dragon like” appearance. Bichirs are a primitive ray-finned fish that are found in the swampy, shallow floodplains and estuaries of the Nile River system in tropical Africa and are in the same family (Polypteridae) as reedfish and ropefish. Bichirs are elongated, eel like fish that have from 7 to 18 small dorsal “finlets” in lieu of the single dorsal fin that most ray-finned fish posses. Each of the small finlets have double edged tips and are the only ones with actual spines. Except for their pectoral fins, which are fleshy and similar to the lobe-finned fishes, the Bichir is covered with thick trapezoidal scales. The jaw structure of the Bichir is similar to that of a frogs, and they have a pair of slit like openings called spiracles that they use to breath air through a pair of lungs that are connected to their esophagus by a glottis. They posses both a modified paired swim bladder that has the function of “lungs”, as well as gills to breathe. The right side of their swim bladder is larger than the left and is used for breathing atmospheric air. In poorly oxygenated water, Bichirs will often travel on land for short periods using their muscular pelvic fins but because their bodies must remain moist, they cannot stay out of water for extended periods. These fish can actually drown if denied access to atmospheric oxygen. All Bichirs are nocturnal opportunistic feeders that have poor eyesight and an excellent sense of smell. In their natural habitat they come out from their hiding places at night to feed on small fish, invertebrates, crustaceans, worms, and insects. In an aquarium environment they should only be housed with larger peaceful fish that they cannot get into their mouths. These fish will eat anything up to their own size. Depending on the species, Bichirs can grow quite large and frequently outgrow their surroundings. Because of their size, they should be housed in as large a tank as possible for their maximum size. The chart below describes the species and subspecies of Polypterus along with their maximum known size. In the aquarium hobby, many tropical fish keeping enthusiasts find the Bichir to be an extremely popular fish. Despite the fact that they are predators and spend a great deal of time lying on the bottom of the tank, it is understandable why so many enthusiasts keep them. They are relatively easy to maintain and can tolerate a wide variety of water conditions, and are extremely long lived. They do make good tank mates with many of the larger species that they are unable to eat, and although they are unpredictable with smaller fish, they are usually passive towards their larger tank mates. In an aquarium environment that is properly maintained, they can easily live well over 10 years. Feeding Bichirs is usually not a challenge. Being carnivores they prefer a varied diet of live foods such as small worms, ghost shrimp, tubifex , chopped beef heart, mussels, and insects. However, they will also eat prepared dry foods like Krill or shrimp pellets , as well as most other freeze dried and frozen meaty foods. 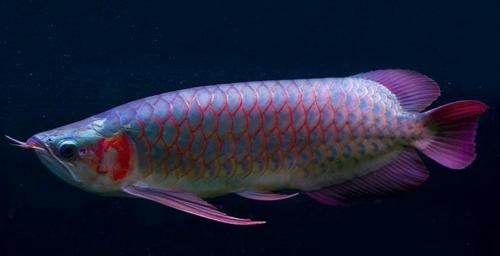 What are the pros and cons of keeping Arowana in a freshwater aquarium? Arowana are a beautiful, colorful fish that is also locally referred to as Water Monkeys, Dragon Fish, Baramundi, Saratoga, Kelesa, and Aruana. They belong to the Osteoglossidae Family of freshwater bony fish and are found in South America, Asia and Australia. There is an African species in the Family Arapaimidae that includes the Arapaima which is now considered a separate species. Regardless of their origin, Arowana are a beautiful, long, sleek, streamlined fish with a unique character. Most of the more colorful Asian species are listed as endangered and are protected from export to the United States. All species are aggressive, super efficient predators that grow rapidly in the wild and in an aquarium environment. Arowana are found in big river channels with strong water currents. They are solitary fish and and sociable only as juveniles. As they grow, most Arowana become dominant and extremely aggressive. Arowana are carnivorous surface feeders and in the wild their diet is comprised of insects, fish, birds or anything that drops on to the surface that they can fit into their mouths. They have mandibular barbels or whiskers that they use to sense movement on the water surface, and they often jump out of the water to pick off small birds or insects from low hanging vegetation. Because of their fast growth rate and the fact that Arowana are surface feeders, a huge tank is needed to keep them healthy. The width of the tank is much more important than the height of the tank they are kept in. As a general rule, the width of the tank should be at least as wide as the length of the fish.As Arowana grow, they should be relocated to progressively larger tanks to keep them from developing a permanent spinal curvature. Since adult Arowana grow to over four feet in length, a tank of over 200 gallons is recommended. Arowana are active jumpers so their tanks should always be covered. Because of their large size and aggressiveness, Arowana are best kept alone in a single species tank.If housed with other fish, they must be peaceful, preferably bottom dwellers and large enough not to be swallowed. More aggressive fish that could destroy the beautiful long flowing fins of Arowana should be avoided.Large Clown Knifefish, Pacu, Plecostomus, Oscars, Green Terrors, Pacu, Tinfoil Barbs, Siamese Tigerfish and other semi aggressive fish large enough not to be inhaled by the Arowana have been successfully kept with them. Arowana are more sensitive to nitrites than other fish so in order to maintain optimum health, proper filtration, good water movement, and 25 to 50% weekly water changes are required. Stable water quality is critical to the health of these fish. Filters, water temperature and other equipment should be checked daily. The water temperature should be held between 72° F. and 82° F.
An average size (6″ to 12″ long) Arowana will easily outgrow their tank within 8 to 10 months. Arowana are best kept by feeding them live or frozen foods. Provide them with live or frozen fish, shrimp, worms, krill, or as juveniles with floating Arowana pellet foods. Feed juveniles 2 to 3 times a day and adults what they can eat in 3 to 5 minutes, daily. With proper care and diet Arowana can live up to 10 years.